Posted on Saturday, July 23rd, 2016. - Filed under 49-Inch. Sony is offering XBR49X800D and XBR49X700D as two new models for 49-Inch Smart 4K UHD TV in their 2016 TV lineup. 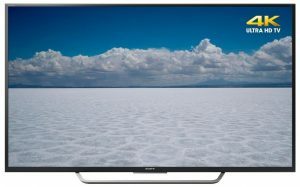 As two Sony’s 49-Inch TV models, you can find that there are a number of similarities between Sony XBR49X800D and XBR49X700D as well as few differences. I’m quite sure that you need to know how those two TVs are compared if you are interested to purchase one of those two TVs. This article try to help you by comparing those two TVs and see which of them is more suitable as your choice. 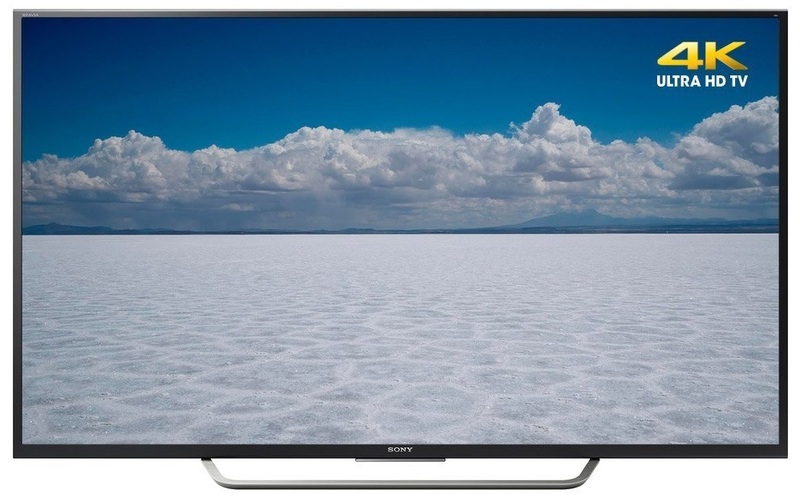 Sony XBR49X800D is positioned as the standard model for Sony’s 49-Inch Smart 4K UHD TV. Sony XBR49X800D comes with Triluminos Display. With Triluminos display, Sony XBR49X800D is able to deliver lifelike color details. As its picture engine, you can find 4K X-Reality Pro as the picture engine of Sony XBR49X800D. With 4K X-Reality Pro, you can enjoy brilliant picture quality from both original 4K content sources or from non 4K contents that upscaled into near 4K with 4K upscaler technology. Sony XBR49X800D is also completed with 4K HDR Technology. With 4K HDR technology, Sony XBR49X800D is able to deliver High Dynamic Range contents with optimal result, so that you can enjoy more accurate details with dynamic brightness on the TV screen. As the Smart TV platform, Sony XBR49X800D use the upgraded 2016 Sony Android TV as its Smart TV platform. With Sony Android TV, you can enjoy premium entertainment anytime you want to enjoy it while you can also enjoy wide range of smart functions with the access to huge collection of apps from PlayStore. Sony XBR49X700D is positioned as affordable version for 49-Inch Smart 4K UHD TV. Sony XBR49X700D comes with 4K X-Reality Pro as its picture engine. 4K X-Reality Pro is able to deliver brilliant picture quality from both original 4K content sources or HD contents that upscaled into near 4K picture quality. Sony XBR49X700D is also added with few other color technology such as Precision Color Mapping and Advanced Contrast Enhancer. With Advanced Contrast Enhancer, you can enjoy improved contrast for deeper black and more natural gradation. While Precision Color Mapping help the screen to deliver richer color details. As the Smart TV platform, Sony XBR49X700D comes with 2016 version of Sony Android TV. With Sony Android TV, you can enjoy premium contents, as well as additional functions such as Google Cast and support to wide range of Android Apps from PlayStore. 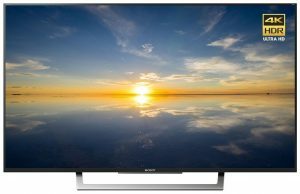 Sony XBR49X700D support HDR with the latest firmware update. We need to see the specs of Sony XBR49X800D and XBR49X700D before We can make comparison between those two TVs. The specs of Sony XBR49X800D and XBR49X700D can be seen on the table below. We can see the similarities and differences of Sony XBR49X800D and XBR49X700D by looking at the table above. From that similarities and differences, We can talk more about their comparison. Let’s talk about comparison of Sony XBR49X800D and XBR49X700D by looking at their aspects. Sony XBR49X800D and XBR49X700D have few similarities on their picture technology. They use the same 4K X-Reality Pro as picture engine. 4K X-Reality Pro is Sony’s picture engine that can deliver brilliant picture quality from both original 4K content sourced or HD contents that upscaled into near 4K picture quality. Both of those two TVs also come with the same precision color mapping that help the TV to deliver richer color details. They also come with the same Advanced Contrast Enhancer that deliver better contrast in 4K UHD resolution. There’re also few differences between Sony XBR49X800D and XBR49X700D picture technology. Sony XBR49X800D comes with Edge-lit LED, while Sony XBR49X700D comes with Direct-Lit LED. There’s no essential difference between them except that Edge-lit is able to implement low profile frame than direct-lit. The next difference is Triluminos Display. Triluminos Display is only installed on Sony XBR49X800D and It’s not installed on Sony XBR49X700D. With Triluminos display, you can enjoy more true-to-life color details. Sony XBR49X800D natively comes with 4K HDR technology, while You have to do firmware update to make XBR49X700D support HDR. The native refresh rate of Sony XBR49X800D and XBR49X700D is 60Hz. Sony use Motionflow XR to measure the quality of their refresh rate and both of those two TVs are getting Motionflow XR 240. Motionflow XR 240 is quite basic when It comes to quality of refresh rate. But It’s essentially still can deliver smooth fast motion images when you use those two TVs to watch your favorite action movies and sports. The Smart TV platform that installed on Sony XBR49X800D and XBR49X700D are similar. They come with Sony Android TV as their Smart TV Platform. Sony Android TV is able to deliver premium entertainment on your TV screen, while It also can deliver wide range of Android Smart Apps as well so that you can enjoy additional premium functions on your TV screen. Sony Android TV and the Sony Android TV platform is easily controllable with Voice Remote Control. While both of Sony XBR49X800D and XBR49X700D support Voice Remote Control, but voice remote control is only included with Sony XBR49X800D. It means that you need to purchase voice remote control separately with Sony XBR49X700D. The speaker system that installed on Sony XBR49X800D and XBR49X700D are almost identical with 2Ch 20W speaker system. 2Ch 20W speaker system can bring quite good sound quality for 49-Inch TV. But if you need more powerful immersive sound quality then You need additional speaker system to satisfy your ears. As the higher model, It’s fair that Sony XBR49X800D is priced at the higher price than Sony XBR49X700D. But how much is their price difference? We should notice that the price is maybe changed in months or even days. But when It’s introduced Sony XBR49X800D is around $50 higher in price. When We convert it into percentage, It’s around 8% higher than Sony XBR49X700D. It’s still an acceptable price difference for the additional features It brings. Which One to Choose : XBR49X800D or XBR49X700D? Related Post To Sony XBR49X800D vs XBR49X700D : How Sony’s 49-Inch Smart 4K UHD TV Compared? TCL LED TVs become more popular nowadays because of its good picture quality in affordable price. We can find TCL 49S405 and TCL 49S305 as two choices that we can consider for 49-Inch LED TV from TCL’s.. I plan to buy Sony 49 inch x800 I just wanted to know if all the inputs HDMI are 2.2 or just one the inputs is. You have to use inputs 2 and 3 HDMI. And in setup switch them to enhanced mode . Thank you for the review and comparison. I am extremely pleased with the Sony XBR-49X800D model. The voice control function is a significant feature that I enjoy and use quite often. Which has better input lag?? Pretty much which one is a little bit better for gaming?? X800D is better. Although other customers may have different opinion. X700d already comes with 10bit panel and It supports HDR10 with the latest firmware update.